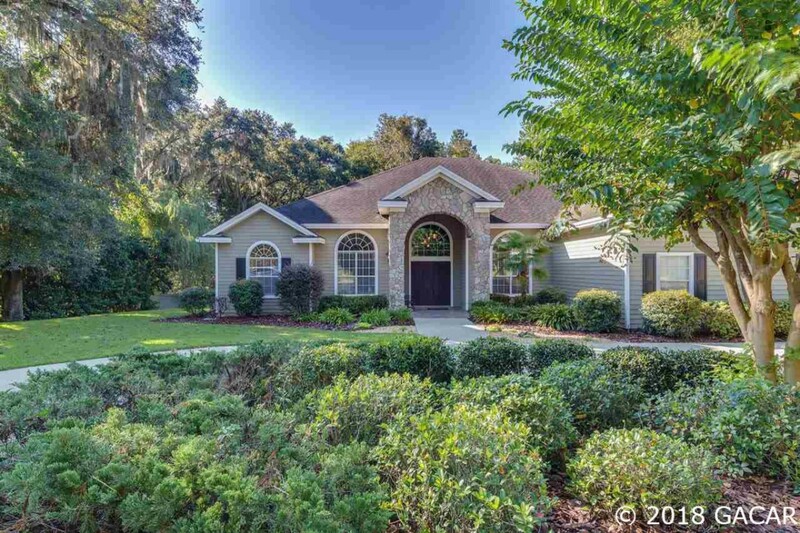 This beautiful, custom, pool home features a spacious, open plan with Brazilian cherry floors, high ceilings, crown molding and a spectacularly upgraded kitchen. Highlights include granite counters, wood cabinets, newer stainless appliances, dual pantries, built-in shelves and a sensational upstairs media room loaded with theater quality surround sound, a movie screen and recliner seating. Relax, play or entertain on your sensational lanai with summer kitchen, mini-fridge, outdoor fireplace w/ decorative stone surround and a sparkling gas-heated pool. Unwind at the end of a long day in your cozy master suite with charming window seat built-ins, a double sided, gas fireplace, jetted-tub, large walk-in shower with dual heads, gorgeous granite and a huge closet. The accommodating layout includes 3 guest bedrooms each with a beautifully appointed full bath. Two more separate rooms can easily be used as a study, 5th BR, formal dining or living rooms. This exceptional home is located walking distance to the Haile Market Square Publix, the award winning Haile Plantation Village Center and the Haile Plantation Golf and Country Club clubhouse. It is also an easy commute to UF, Shands and the VA.